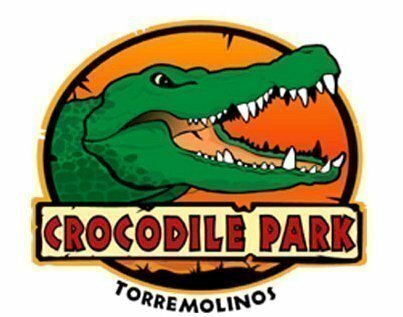 In Crocodile Park you will find yourself with prehistoric monsters.Creatures that miraculously survived 200 million years of evolution,carnivores which knew the dinosaurs and they use the same cold andruthless hunting techniques. With less than two feet away, you can observe giant crocodiles of different species of the world into his hand, silently observing the secrets of one of the most fascinating creatures on earth. A place to spend a day of fun and entertainment with the best water rides imaginable for the whole family. Aqualand Torremolinos is the only place in the Costa del Sol where you can find water ride that is sweeping the world. BOOMERANG is adizzying round trip on a super-slippery surface on board a float, to be shared with anyone. If you taste it you willl want to repeat. The strength of slip from one of the highest water slides in Europe is difficult to describe. Imagine the most daring free fall and the entry into the water faster all of a sudden. All this and much more is Kamikaze,the classic and exciting attraction at Aqualand Torremolinos. One of those experiences that you will never forget, because you never have felt so alive. SELWO Marina is a unique entertainment that complements his brother SELWO ADVENTURE. The main theme of SELWO Marina is South America, which recreate the landscapes and the marine fauna of the continent. The exhibition brings together a dolphin, an area of seals and sea lions, a penguin, even exotic birds, and an area of virtual reality and an interactive section called "Touch and Explore. " His latest innovation is the attractive island of ice, which has expanded the collection of new and curious penguin species. Sea-Life is the first interactive aquarium in Andalucia and reveals the most curious mysteries of the deep sea. A penetrable smell of the sea and the whisper of the waves indicate that the fascinating journey into the world of the ocean is beginning. Get the undersea route surrounded by 500,000 gallons of water and about 30,000 amazing marine species, some of the area and others brought from exotic countries including stingrays, sea horses, the amazing sharks ..... . The Benalmádena Cable Car offers a spectacular journey of fifteen minutes in comfortable and modern cabins, for four people each, in a journey that unites Benalmadena Costa and the summit of Mount Calamorro, one of the highest enclaves of Costa del Sol, about 800 meters above sea level, where in addition to a unique landscape you can enjoy a range of activities for visitors of all ages. On Top of Mount Calamorro, plus unparalleled views of the Costa del Sol, Sierra Nevada and on clear days, Gibraltar and the African Coast. "Almost" from the sky, you can enjoy exhibitions of birds of prey, with hawks, eagles, owls, vultures ... and the possibility of adventure sports as well marked hiking trails that lead to different viewpoints. Amusement and Entertainment Park Tivoli World, opened in 1973. It offer not only focuses on rides, but also entertainment (concerts, comedy, dance), restaurants and exhibitions. 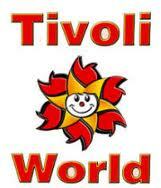 Enjoy the best shows in Tivoli World! In high season, you can enjoy a wide and varied program of shows in our different squares. Live the Wild West in the West Square, the Andalusian folklore in the Plaza de Andalucía with Flamenco Show, and enjoy shows for the little ones in the Squares Of the Jungle, Tivolilandia and the Mysterious Boat. The beach which extends for nearly 8 kilometres, has cycle and skating lanes alongside the fully illuminated promenade and features many chiringuitos and beach bars. The Eastern end of the beach known as Los Alamos has live dance music events throughout the Summer. The Easternmost parts of the beach have kite surfing and windsurfing except under the flight path of the airport. There are two separate beach lifts, a wheelchair accessible footpath and steps from the town centre to the beach. The Costa del Sol is also known as La Costa del Golf. It has the highest concentration of golf courses in Andalusia and the European continent, distributed as follows: 21 in the municipality of Marbella, 11 in Mijas, 10 in Estepona, 6 in Benahavis, 6 in San Roque, 3 in Malaga, 2 in Casares, Rincon de la Victoria and Benalmádena and 1 in Vélez-Málaga, Fuengirola, Nerja, Manilva. 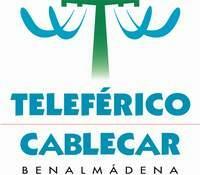 Also you will find the ones located in Alhaurín El Grande, Alhaurín de la Torre and Antequera. We have a recreation center where we can have a drink, bowling, shopping and eating in one of his restaurants. Already there is a place to enjoy, completed with everything in one place. Log in Plaza Mayor and enjoy the most comprehensive range of entertainment you can´t find anywhere else.Nothing alike. Plaza Mayor is located on the coast near Malaga, the second largest city of Andalusia and near major tourist destinations on the Costa del Sol - Torremolinos and Marbella. Just 2 km from the airport and clearly visible from main roads, Plaza Mayor will also benefit from new roads and the nearby train station. Plaza Mayor meets a wide range of dining, family entertainment, live entertainment and shops with the typical Spanish Plaza as a basis. A day in Plaza Mayor is a unique experience. Visitors to Plaza Mayor will have special evening under the open sky and a unique opportunity to enjoy the exciting Spanish night. Plaza Mayor is the place where friends can meet for an amazing night, enjoying the extensive hours of bowling, cinemas, bars and outdoor terraces and shows and animations are held consistently throughout the year. Located in Fuengirola, just a few metres walking distance from the beach and the town centre, Parque Miramar Shopping Centre, has become a real must for Shopping and enjoying leisure time in the area. Up to 160 Shops, a huge Eroski Hypermarket and Gas Station, a wide choice of leisure activities, 12 Cine Sur Screens, several Restaurants and Cafes for every taste and many other services made available to the public, such as an enjoyable Children Play Area for the youngest members of the family are to be found in one of the largests commercial offers of the Costa del Sol. As in most towns in Andalusia, Torremolinos celebrates annual traditional religious or pagan festivities including: carnival, Easter, the night of San Juan, fairs and pilgrimages. The biggest festival for the town is San Miguel Fair which takes place in September. Other smaller fairs like the night of San Juan in June and the Fiesta de Carmen in July are also very popular. In February there are dance competitions for over 50’s, known as the Retro Dance, where tango, waltz, paso doble, salsa, rock, etc. are performed. In April the Day of the Bicycle and Scooter is celebrated, and in September there’s a day dedicated to the Tourist. The gastronomic festivals like the Day of Pescaíto (Fried Fish) and the Day of the Cabbage, raise funds for local charities. With the intention of encouraging integration and good relations between different nationalities residing in Torremolinos, each year the Day of the Foreign Residents is celebrated, this includes a parade and tasting of dishes from all over the world. Other cultural events include the Lyric Season, the Theatre Season, the Flamenco Festival, the LGBTI Pride in June, the Tourism Fair, Art and Culture of Latin America in Europe (EUROAL), the Film Fantasy Festival and the Day of the Verdiales, dedicated to this traditional Malaga dance. The cultural calendar is completed by the Freedom Party, a pop music festival and a series of contests dedicated to photography, literature and contemporary painting, among others. Casino Torrequebrada: opened in 1979 and located next to a five star hotel with the same name. It also offers shows. It is located in front of the beach and near the golf course of Torrequebrada.